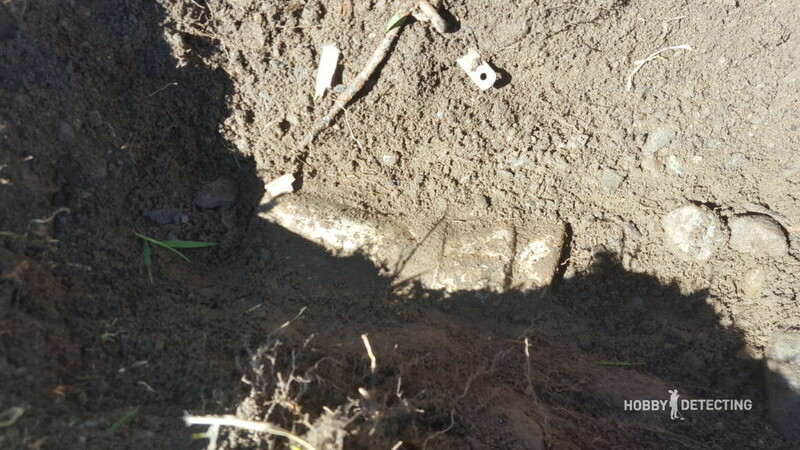 Today, me and my friend decided to go out detecting, because there was such a nice weather, probably the first summer day here in Norway. We decided to go detecting on a former military base, used by the Germans during WW2. This area is just by the sea, and it has a lot of history: The Vikings used to be here, it used to be a farm back in the 19th century, the Germans had a station here, the Norwegian military used to be here, and today this beach is a popular place to be in the summer. So obviously, this was a nice place to try the luck. We started digging, and for the first couple of hours we found a lot of WW2 junk, including some mess-kits that were literally in a “mess”. 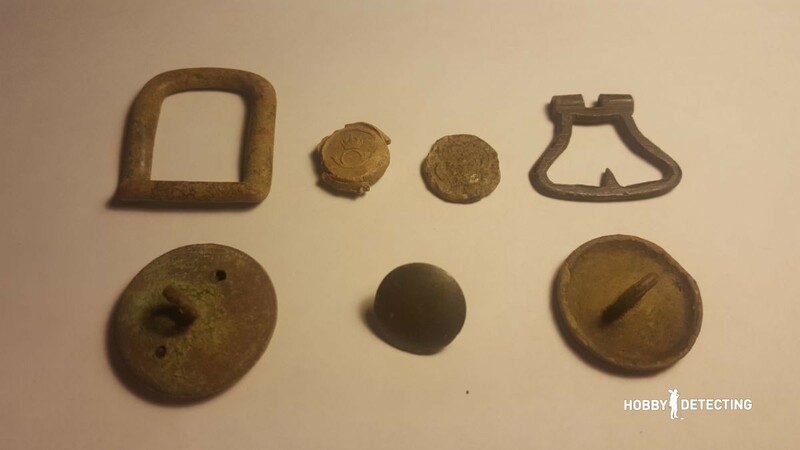 We also found some nice military buttons, but unfortunately without any markings. After that we moved on to a place about 500 meters away, where the Germans used to have firing positions. For the first 30-50 minutes, we found almost nothing. We were almost about to move on again. “No way! An old silver coin!” My friend said to me. I carefully rubbed the dirt off the coin. “But it is in such a nice condition, it can’t be that old” I said to my friend. “No way! 1705!” I said, while I enthusiastically pointed out the date on the coin. 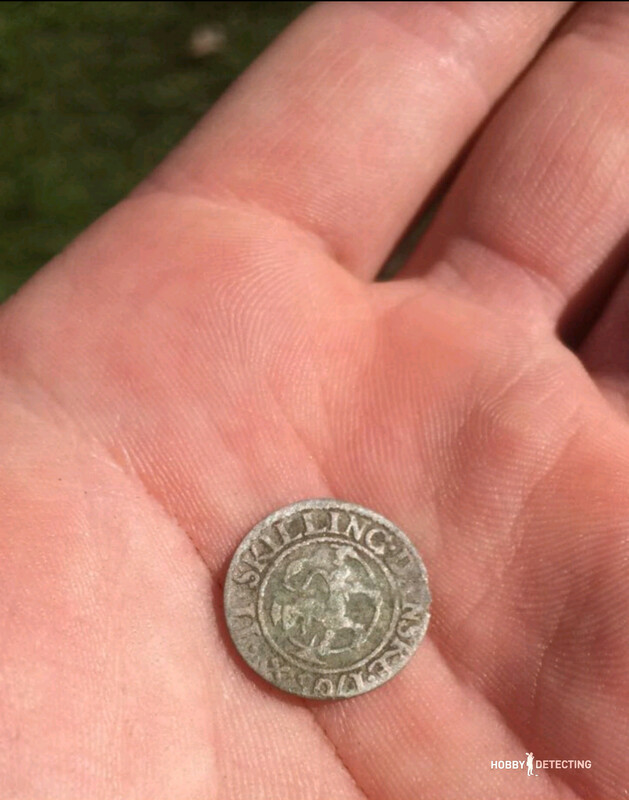 It turned out to be a “2 Skilling” silver coin from 1705! On the obverse side of the coin, it reads the following: “II SKILLING DANSKE 1705” (“Danske” translates to “Danish”), with the lion inside the circle. On the reverse side, you can see the monogram of Frederick IV, the king of Denmark and Norway. Now if you don’t already know much about the history of Norway, you may be wondering “Why Danish coins in Norway? And why the king of Denmark and Norway?” Well, here is a short history lesson which will answer these questions: Norway was at that under the rule of Denmark, and after the death of Christian V in 1699, Frederik IV inherited the Danish-Norwegian throne. 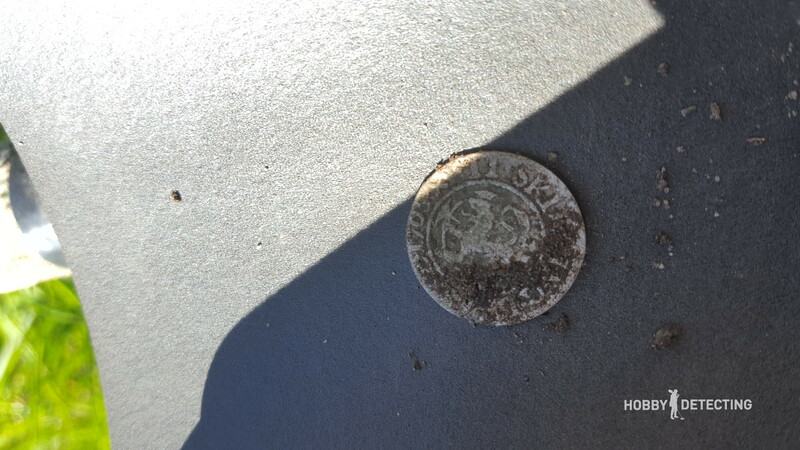 Therefore, coins produced in Norway at that time had the inscription “Danske” on them, and therefore the coin I found had the monogram of the Danish king Frederik IV. “I think I’m going to stay in this area” I told my friend with a smile. In total, it was a good day, and I was happy with the finds done with my Fisher F75?. Do you also have a Fisher detector? If so, what is your best find with it? 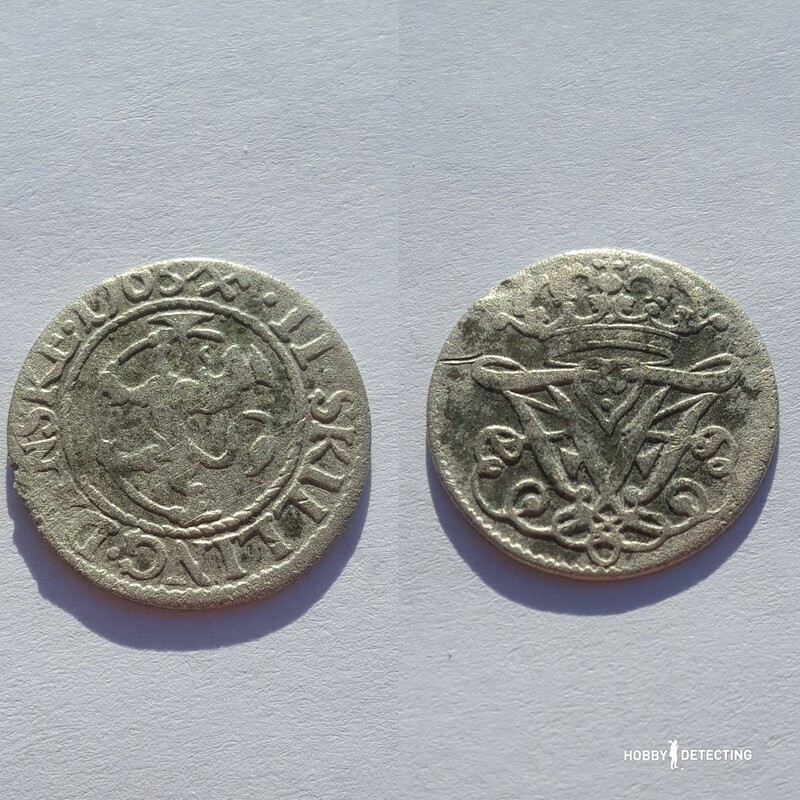 Read more about interesting silver finds here.